Equipped with a (Turbocharged Common Rail Direct Injection) type diesel engine Chevrolet Optra has a capacity to deliver a power of 120PS all at the rate of 3000 rpm. In the sedan category of cars it has easy adjustable seating capacity and extra space for sitting and luggage. All Wheel Independent Suspension (AWIS) system provides this car with better and smooth rides. 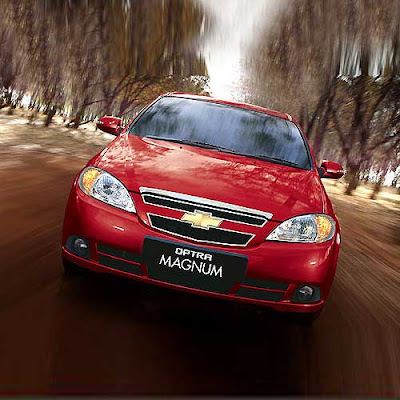 ABS system along with XPRO protection system helps in very easy braking with thE New Chevrolet Optra. Power windows, power steering, central locking are some of the standard features available with the New Chevrolet Optra.